A recent study on breast cancer involving 7,663 women in the country have found that breastfeeding, regular physical activity and soy intake to be three key factors that can reduce the risk of developing the disease. The study, the largest ever conducted in the country, included 3,683 breast cancer cases and 3,980 healthy women from Universiti Malaya Medical Centre and Subang Jaya Medical Centre (SJMC). Its findings, taken from the Malaysian Breast Cancer genetic study and Malaysian Mammographic Density study, are consistent with similar studies done in other countries. One of the study’s lead clinicians, consultant breast surgeon at Ramsay Sime Darby Healthcare Professor Datuk Yip Cheng Har, said the study is significant as it adds to the understanding of the hormonal, reproductive and lifestyle factors associated with breast cancer among Malaysian women. “The majority of such studies are conducted among Europeans and few have examined Malaysian women. This will help in pushing forward public awareness campaign so that we could reduce breast cancer incidence in Malaysia,” she said. 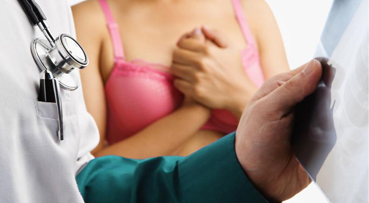 Breast cancer is one of the more common cancers among Malaysian women. The incidences of breast cancer in Malaysia is projected to rise rapidly as the population adopts a more Westernised diet that is high in fat and sugar, lead a more sedentary lifestyle and have smaller families. One of the study’s findings is that women who breastfeed for more than 12 months are 70 per cent less likely to develop breast cancer. It also showed that consuming at least a cup of soy milk or a serving of soy products once a week is associated with about 80 per cent and 60 per cent reduced risk of developing breast cancer, respectively. And now, Cancer Research Malaysia together with the University of Nottingham Malaysia, SJMC and Universiti Malaya are looking to see if women who start consuming soy later in life, from their 40s and 50s, will also reduce their breast cancer risk. Associate Professor Ho Weang Kee from the University of Nottingham, the lead statistician in the groundbreaking breast cancer study, said women who are physically active have been found to have reduced risks of contracting non-communicable diseases such as diabetes, cardiovascular disease and cancer. “The published results also confirm that physically active women also have a 30 to 60 per cent reduced risk of developing breast cancer,” she said.